Pushups are a classic test of muscular endurance and doing pushups on a regular basis is a good way to get better at this exercise. However, if you really want to excel at pushups, you should do exercises that address the muscular weak links that may be stopping you from doing more pushups. By training specifically to improve your pushup performance, you should soon be setting new personal repetition records. Your triceps, located on the back of your upper arm, is one of the likely reasons you have to stop a set of pushups. Once this muscle is fatigued, you will be unable to extend your arms and your set will be finished. Increase your triceps strength by performing diamond or close-grip pushups, parallel bar dips and pushups with your feet elevated. Your pectoralis major or pec muscles are the agonist or prime mover in the pushup. 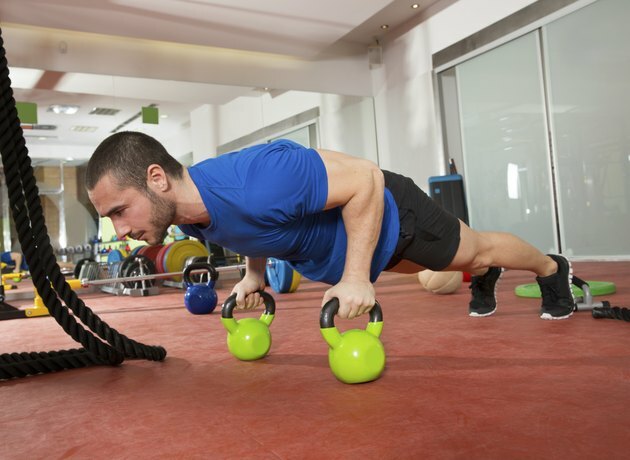 Strengthening these muscles will enhance your pushup performance. 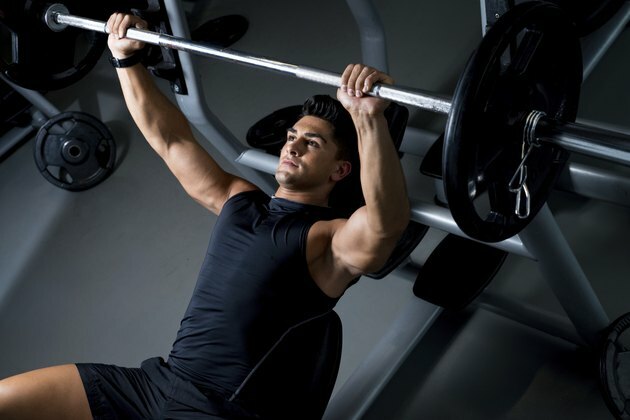 Barbell bench presses, dumbbell bench presses, dumbbell flys and dips are all good choices for strengthening your pecs. In addition, these exercises also strengthen your deltoids or shoulder muscles which are also strongly involved in pushups as they work alongside your pecs. 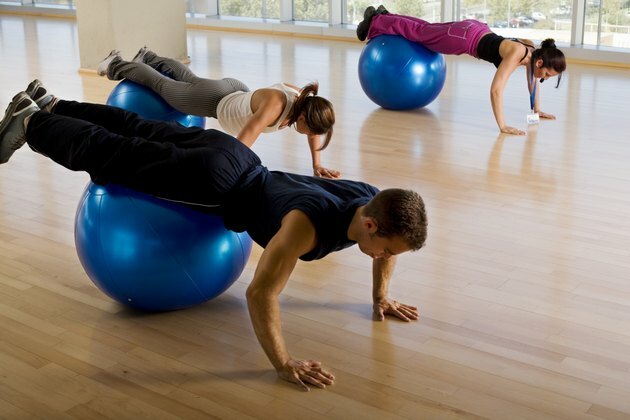 Extraneous movement while doing pushups wastes valuable energy, especially of your spine. Your body should be rigid and straight to ensure none of your energy is lost as you do your pushups. If you find your body is not as tight as it should be, your hips might drop as you exercise and you may have a weak core. To correct this, perform core exercises such as planks and side planks. These exercises are especially pushup-specific as they involve holding your body straight in a pushup-like position. To make standard bodyweight pushups easier, you need to find ways to make pushups harder. That way, when you do the unmodified version of the exercise, you will be stronger and better able to do more repetitions. Make standard pushups harder by elevating your feet, using pushup stands, wearing a weighted vest, wrapping a resistance band around your upper back and holding the ends or having a partner press down on your shoulders. If you want to get better at pushups, your upper back muscles need to be strong as well. A strong upper back provides a solid platform for your pushup muscles to work from and also ensures your shoulder musculature is strong from front to back -- important for preventing injuries. 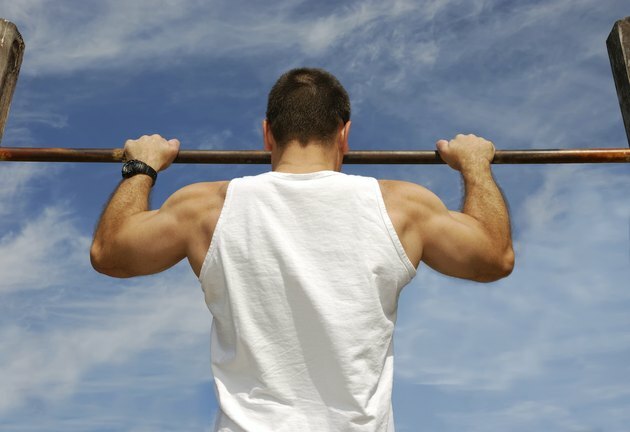 Strengthen your middle trapezius, rhomboids and latissimus dorsi muscles by performing pull-ups, chin-ups, band pull aparts, face pulls or barbell rows. Is it Good to Do Pushups Every Morning?